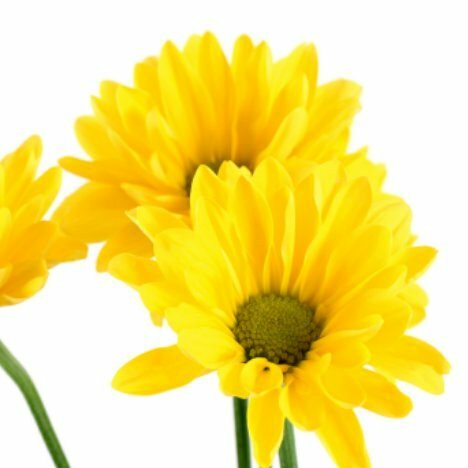 Chrysanthemums (both daisies and cushion mums) are brightly colored and look great in large arrangements. 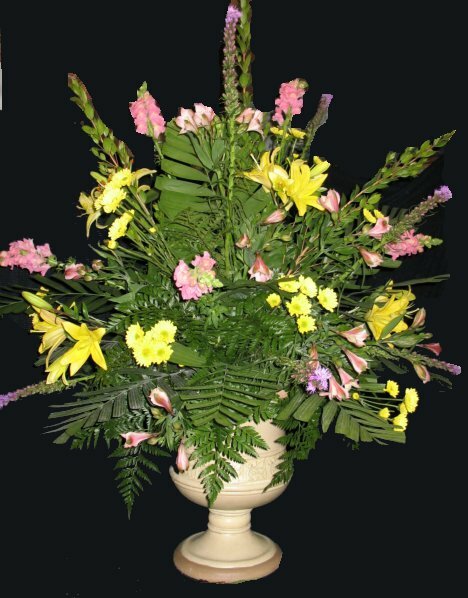 The multi-headed stems fill in open spaces quickly with a bright spot of color. 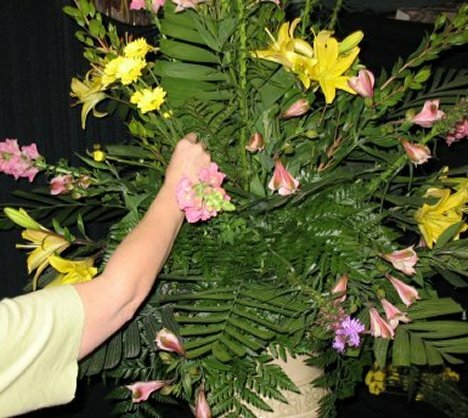 In the larger florals, I use the entire stem in a mass to give more color in one area. 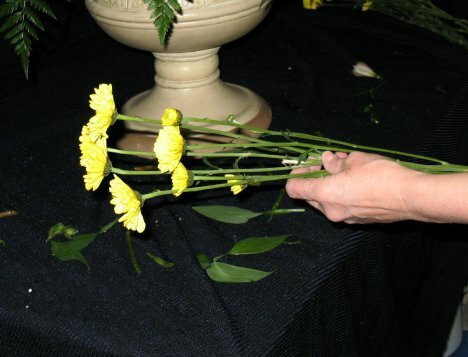 Smaller arrangements you can cut the stems apart and use the flower heads separately. 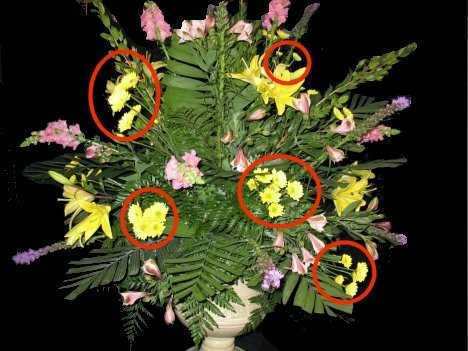 Keep them spaced apart from other similar colored flowers. You can see how I spaced out the yellow in this floral. 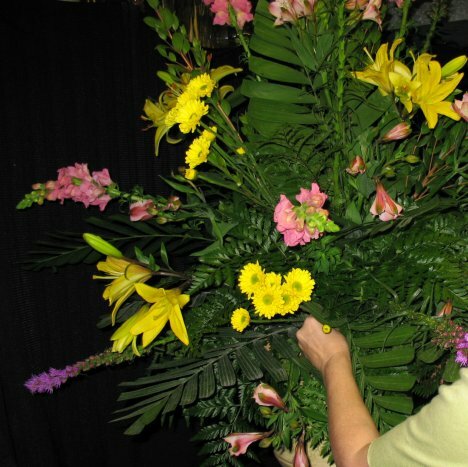 It takes a lot of flowers to fill out a design as large as this one is.